Jose Altuve and Will Harris will represent the Houston Astros in this year's All-Star game. 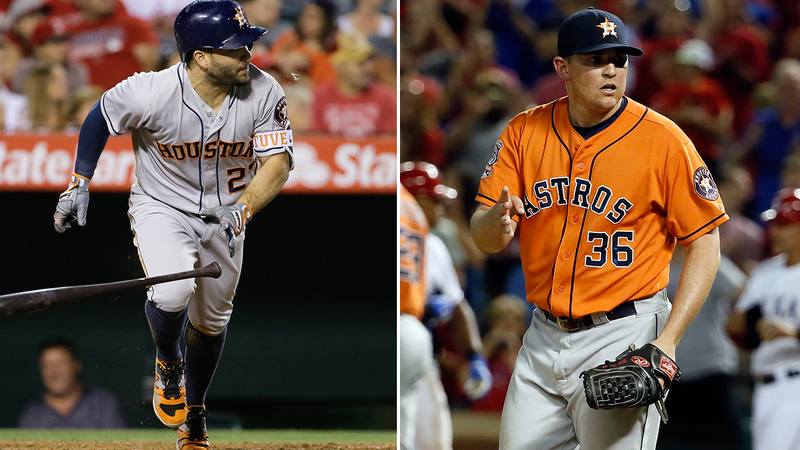 Houston Astros' Jose Altuve and Will Harris are headed to the All-Star game! Altuve was named a starter for the American League during the nationally televised selection show Tuesday. The second baseman is leading all AL players with a hitting average of .353. Altuve will be making his fourth All-Star appearance and second start. Harris, a pitcher for the Astros, is headed to his first All-Star game. The 87th MLB All-Star Game will take place July 12 at Petco Park in San Diego, Calif.